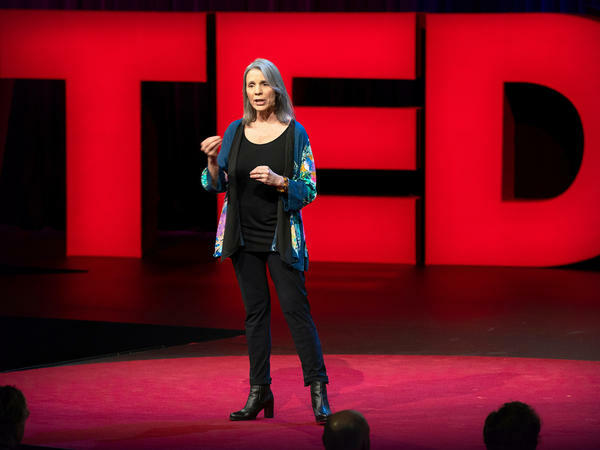 Robin Steinberg: How Can We End The Injustice Of Bail? Robin Steinberg on the TED stage. Part 1 of the TED Radio Hour episode Hacking The Law. The bail system disproportionately impacts low-income people of color and pressures defendants into pleading guilty. But Robin Steinberg is implementing a plan to fix this--without waiting for reform. Robin Steinberg is the CEO of The Bail Project, a new organization that fights mass incarceration, at scale, by using a revolving bail fund to help defendants post bail and alleviate the pressure to plead guilty. She started her career as a public defender. In 1997, Steinberg founded the Bronx Defenders and worked for 20 years to create her own vision of public defense by extending legal representation and advocacy beyond criminal court. The Bronx Defenders paved the way for two other initiatives including Still She Rises, a public defender office dedicated exclusively to the representation of women in the criminal justice system, and The Bronx Freedom Fund, a revolving bail fund that uses philanthropic dollars to post bail for defendants who cannot afford it. On the show today, ideas about hacking the law and how we can change government to be more fair to the people it represents. Do you think that there are better alternatives to democracy, or do you think that, in general, democracy is the best way to govern ourselves? BRETT HENNIG: I'm a big fan of democracy (laughter). RAZ: This is Brett Hennig. And even though he's totally pro-democracy, he's actually got a big problem with elections. HENNIG: My ideal of democracy is that every person should have an equal say in the direction of that country and the laws of that country. Of course, this is theoretically accomplished by giving one person one vote. But as most people know, in practice, it's not a practical equality. Most votes are wasted. Many people don't vote. Lots of people, such as migrants and refugees, can't vote. So my ideal democracy is one where the considered will of the people is taken into account. And I think elections don't achieve those ideals. RAZ: So in your view, are elections just fundamentally antidemocratic? HENNIG: They're fundamentally flawed in the way they're practiced now. They favor elites, and they favor moneyed interests. Famous thinkers, for centuries, equated elections with aristocracy and oligarchy. So I'm happily putting myself within this group of people and saying, yeah, I think elections are actually fundamentally flawed. And whether we can overcome that crisis, I think there's basically two responses that we can take, and one is to go down the populist quasi-fascist roots, and the other is to try to find mechanisms and modes to do democracy better and differently. RAZ: But the exact mechanism for fixing democracy that Brett has in mind - well, it's pretty radical. Here's Brett Hennig on the TED stage. HENNIG: So I'm going to ask you two questions, and I want you to put your hands up if you agree. The first question is, who thinks living in a democracy is a good thing? The second question is, who thinks our democracies are functioning well? Come on, there must be one politician in the audience somewhere. No. But my point is there's a massive paradox or contradiction here. I think there's two ways to resolve this paradox. One is to give up on democracy. The other option, I think, is to fix this broken system, which brings me to my epiphany, my moment of enlightenment. Its technical name is sortition, but its common name is random selection. And the idea is actually very simple. We randomly select people and put them in Parliament. RAZ: Wait. You want to - you want to just put random people into a - into a legislative body and say, here you go, figure it out. Is that more or less what you're saying? HENNIG: This seemingly absurd idea is actually based on hundreds of experiments worldwide where this actually happens and happens well. Ireland is the most recent country to have randomly selected 99 people to talk about their constitutional ban on abortion, to talk about how they can tackle climate change, to talk about other things like fixed-term parliaments. This 99 randomly selected sample of people went through weekends of deliberation informed by experts with public input into that process, and they came up with the proposal, supported by around two-thirds of them, to abolish this constitutional ban on abortion, which was then put to a referendum, and about two-thirds of the Irish people agreed with them. If these people are so good at it, why do we still need politicians? RAZ: I have to be honest. That idea scares me. I don't want the first hundred people in the phone book running the country. I want people who are steeped in policy, who understand the nuances of how laws get made, who understand the consequences. Like, that's what I want. So how does a random democracy, you know, solve this problem? HENNIG: Elections don't produce experts. This is a complete fallacy. Otherwise, we would elect our brain surgeons. HENNIG: Elections produce people who are good at winning elections. And to be good at winning an election, you need a massive war chest of money. You need to be charismatic. You need to be able to inspire people with ridiculous tweets - I'm not sure. But it doesn't mean that you're good at making policy, at lawmaking. So I would actually argue that a random representative sample with good process informed by experts who, of course, don't have power - they just have the power to give information - would result in better policy. Of course, you would potentially need these people to go through an induction process where they learn about how the system goes or how lawmaking is made, et cetera. The other option - that we hand over the running of our country to a group of experts - is exactly what authoritarian regimes argue. China, in theory, is run by groups of experts. HENNIG: So yeah. I think it's - you open yourself up to the accusations of authoritarianism if you say, I think we should actually hand over to a technocracy or something. RAZ: Well, that's the thing. Like, let me see if I understand this correctly. In a system that you think would be a better system, more representative, essentially, you would eliminate elections, right? RAZ: You'd get rid of people voting for elected officials. You get rid of that. RAZ: ...A lottery - whatever it is - where people are randomly selected from the population. And they get a letter in the mail, and they say, hey, you know, you're going to be a representative for the next two years. And that's how you would do it? HENNIG: That's how I would do it. There's a lot of process questions around that, but the key thing is that it works. When people do this, people make trusted, balanced decisions. And I think it would lead to a massive increase in trust in the governmental system and the decisions that are made. RAZ: When we come back in just a moment, Brett Hennig describes how he envisions randomly selecting our leaders. On the show today, Hacking the Law. I'm Guy Raz, and you're listening to the TED Radio Hour from NPR. RAZ: It's the TED Radio Hour from NPR. I'm Guy Raz. And on the show today, ideas about hacking the law. And we were just hearing from Brett Hennig, who's advocating for getting rid of elections and replacing them with a random selection of lawmakers. HENNIG: So I would make it voluntary. Once you sent out 10,000 letters to a random section of the population, you may find that only 10 or 20 percent of the population are actually interested in doing this. Of course, if there's a financial incentive, that might increase. You would then - for those who were still interested in that, you would do a second random selection of those interested, making sure you actually match the demographic profile of the country, so making sure you had gender balance. You would have 50 percent women in our parliament. This, to me, would already just change the structure of the laws. You would eliminate - the national government wouldn't be a millionaires club. You would have lots of working-class people, lots of full-time careers in there. To me, the laws that come out of such an institution would be so completely different, but so much better, from my perspective - that sort of wisdom of crowds idea, that, actually, you need diversity bouncing ideas off each other to find the best solution. And so if you exclude some part of the population for whatever reason, then you are limiting that diversity. RAZ: But I wonder. I mean, if only the people who really want to be part of this are part of it, doesn't that already create a self-selected group of people? HENNIG: Douglas Adams. There's this famous quote by Douglas Adams saying, the people who want political power are specifically the people who you should not let have political power. By randomly selecting people, OK, there is one step of self-selection if it's voluntary. You could also make it mandatory. But I would also propose that if you pay these people two or three times the average wage, the vast majority of people who earn substantially less than that would definitely put their hand up for two years of that kind of income. I would, of course, probably want to see it start at a smaller, local level, perhaps with a bicameral system. So you would have two chambers, one elected and one randomly selected. And in fact, there's a regional parliament in Belgium who is now looking at doing this. And they would be the first parliament in the world to instigate one elected chamber and one sortition chamber or one sortition body. I wouldn't be surprised if people look at the sortition chamber and look at the elected chamber full of politicians busily backstabbing each other and engaging in their typical political power plays and go, well, why do we need that first chamber? But this is a path towards this idea. HENNIG: Random selection in politics has become so common lately that there's simply too many examples to talk about. Of course, I'm very aware that it's going to be difficult to institute this in our parliaments. Try this. Say to your friend, oh, I think we should populate our parliament with randomly selected people. They'd be like, are you joking? What if my neighbor gets chosen? The fool can't even separate his recycling. But the perhaps surprising, but overwhelming and compelling evidence from all these modern examples is that it does work. If you give people responsibility, they act responsibly. Don't get me wrong. It's not a panacea. The question is not, would this be perfect? Of course not. People are fallibly human, and distorting influences will continue to exist. The question is, would it be better? And the answer to that question, to me, at least, is obviously yes. RAZ: I mean, realistically, is this something that can really spread on a global scale in your lifetime? HENNIG: Yeah. We have our strategy. And that is, yeah, to first get these citizens' assemblies happening more and more often, which seems to be happening. After the Irish citizens' assemblies, the U.K. government is now putting aside almost a million pounds to sponsor eight to 10 local citizens' assemblies in the U.K. So I can see that the word is spreading. Once one of these things happens in the world, maybe other people will take notice. Maybe it'll spread. I could see within my lifetime there being, for example, a U.S. state legislature with a second body selected by sortition. That would be an incredible first step. RAZ: ...To try and convince people and then entrenched powers to try this. HENNIG: Yes. Yeah. I'm not - I don't think it'll be easy. I don't think political change is ever easy, especially fundamental political change such as this. But I'm hoping that there will be a generation of political leaders potentially at local, city, state level who say, yeah. I want to innovate. I want to try something new. I think our system is broken, and I want to see it change. RAZ: Brett Hennig. He runs the Sortition Foundation, which advocates for random selection in democracy. You can find his full talk at ted.com. Transcript provided by NPR, Copyright NPR.